The 2019 proposal period is open. This years award value is $3500. Deadline to submit is 5:00 PM ET on May 24, 2019. Download the Flyer – please share! Download a PowerPoint slide to advertise the announcement – please share! Vembu Subramanian lived a life dedicated to uplifting others. While hired at SECOORA for his technical skill, Vembu’s true strength was his interpersonal skill, as reflected by his unofficial job title – Social Chairman. If you had the chance to meet him, you will have been touched by his sincerity, his ethics, as well as his laughter and genuine kindness. Vembu had a deep passion to help others and loved working with students, acting as their mentor. SECOORA is continuing Vembu’s mentoring legacy by sponsoring the annual Ocean Scholars Award. The award value for 2019 is $3500. This award will be provided to one undergraduate student, graduate student, or early career professional to support their research and to provide travel support to present at a regional or national meeting or conference. Proposals must follow the required proposal format and be relevant to a SECOORA focus area. Proposals that do not follow the required format will not be evaluated. All work must be completed within one year of project start date. Statement of the issue being addressed. Project description including research question and methodology. Identification of SECOORA focus area addressed and users/stakeholders engaged. Identify the conference you plan to attend, brief rationale for presenting research at selected conference, and whether you plan to present at an oral session or poster session. Project deliverables and timeline for completing research and participating in the meeting/conference. Budget and Budget Justification. Funds may be used for any purpose related to the project. University overhead charges are not permitted, nor is any support for the faculty sponsor. Matching funds or in-kind support is not required. For undergraduate and graduate students, a signed letter of support from their major professor is required. For early career professionals, a letter of support from their hiring manager/supervisor is required. Graduate and undergraduate students must also submit a transcript and a completed SECOORA endorsement form by College/University sponsored programs office or company business office. A one-page Data Management Plan is required for projects that include the generation of new environmental data. This plan must describe the data being collected, including temporal and spatial resolution, how the data will be processed, and the timeline for sharing the data with SECOORA. For information on data management plans, please email dmac@secoora.org. Students must be enrolled towards a degree in a full-time undergraduate or graduate program and must have at least a 3.2 cumulative grade point average on a 4.0 scale. Students must be enrolled at a SECOORA member institution and enrolled as a student in the spring semester of 2019. Early career professionals are those that have been working less than five years from their college graduation date and he/she must be working at a SECOORA member institution. Please submit the entire application package electronically in PDF format no later than 5:00PM ET on May 24, 2019 to Abbey Wakely (abbey@secoora.org) and copy Jennifer Dorton (jdorton@secoora.org). Tip: Print this list and check off each section to make sure you are not missing anything! Proposal package is due by 5:00PM ET on May 24, 2019. SECOORA will convene a 3-5 person review panel that includes SECOORA staff and members. The review panel will rank proposals based on their relevance to SECOORA’s mission and stakeholder needs and adherence to the instructions provided in this request for proposals. All work must be completed no later than one year after receiving the award. Photos of the scholar presenting at the meeting/conference. A short video on the project and its value to potential users. The successful applicant will be notified no later than July 2019. Funding will be distributed by SECOORA. For a graduate and undergraduate student recipient, funds distributed to the applicant’s university and will be managed by the awardee’s major professor, who must agree to serve as principal investigator on the project. Funding for early career professionals will be distributed to the applicant as a subcontract from SECOORA. For any questions related to this fellowship, please contact Abbey Wakely (abbey@secoora.org). Good-faith efforts will be made to answer as many questions as possible, but an answer is not guaranteed for every question. The SECOORA region encompasses Florida, Georgia, South Carolina and North Carolina. This opportunity enables recipients to become familiar with SECOORA’s mission and objectives, US Integrated Ocean Observing System (IOOS), and related marine scientific and technological programs. SECOORA is one of the eleven coastal ocean observing regional associations partnered with the US IOOS. SECOORA sustains and advances coastal and ocean observing, modeling, and data management subsystems for the US southeast coastal and ocean waters. SECOORA supports: maintenance and operation of in-situ real-time ocean moorings and High Frequency (HF) radar observational networks from North Carolina to West Florida; a multi-scale, multi-resolution modeling subsystem that delivers model data and products for coastal resource and emergency response managers and other users; and, has established a robust data management and communications infrastructure. 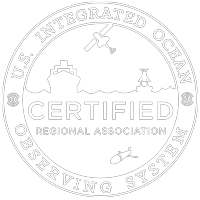 SECOORA is IOOS certified, and implementing the US IOOS recommended standards that promote interoperability, discovery, efficient data aggregation, access, sharing, visualization, and use of coastal ocean data (physical, chemical, biological and geological). Information products are made available to stakeholders and decision makers via the SECOORA data portal. SECOORA’s website provides a central hub for access to our communication, education, and other content materials as well as our data, model and maps portal.